Hessle Audio, the label run by Ben UFO, Pearson Sound and Pangaea, has just reached its 10th anniversary milestone. Hessle Audio has always looked to the future. This label, set up by Pangaea, Pearson Sound (David Kennedy) and Ben UFO (Ben Thomson) has remained at the vanguard from its very first release 10 years ago. While some electronic producers, with their fetishizing of analogue gear and old school authenticity, are stuck in a vintage vacuum, Hessle Audio’s three pioneers — and the artists they’ve released on their label — have consistently pushed boundaries. Operating on the fringes of genre, they’ve changed the course of underground dance music more than once, indicating new pathways for dubstep, house, techno and beyond. In 2017, they’re celebrating a decade of operation with a big European and US tour. The tour has them playing back-to-back-to back all night and represents a consolidation of the trio’s powers. They’ve become a main draw without once compromising their independence or fearless musical aesthetic. Ben UFO has earned a reputation up there with the best underground DJs in the world. With no compulsion to produce tracks (a rarity in today’s scene), his daring sets travel from grime to techno to house, indefinable bass music and myriad experimental oddities besides, all transmuted and linked together with a unique dancefloor attitude. Pangaea’s psychotropic productions have been melting minds since 2007. Atmospheric in the extreme, spacious and strange, each of his tracks comes loaded with bass weight. A 2014 Fabric mix showcased his formidable DJing chops, while last year’s techno-heavy ‘In Drum Play’ (on Hessle) demonstrated a remarkable merging of experimentalism with club nous. Pearson Sound’s productions are always eagerly awaited. Foxing expectations with each release, he’s as comfortable making garage-loaded house (‘Your Words Matter’, with Midland, released on Aus) as he is cone-rattling IDM strangeness (‘Gristle’, from his 2015 ‘Pearson Sound’ album) or sinister, cinematic techno (club hit ‘Thaw Cycle’, on his own Pearson Sound label). 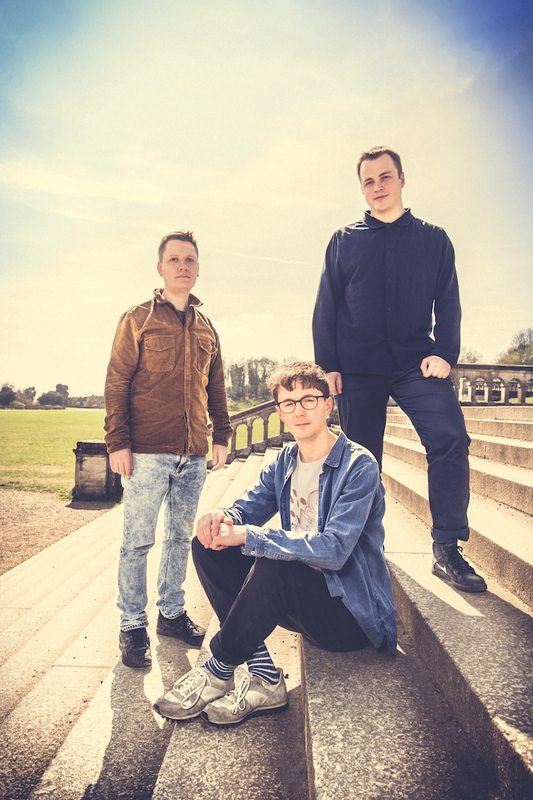 Though each of the three has their own areas of musical interest, it’s the convergence of their ideas, and a belief in pushing forward, that defines Hessle Audio and makes them stand out. DJ Mag meets them one sunny spring morning in south-east London, near where Ben UFO lives now. After weekend gigs, they’re remarkably chipper. Ben tells us about some grime record collections he bought recently nearby, and we stroll to a quiet café for the interview. Each of them talks with great conviction and a natural camaraderie. They speak frankly on all subjects, from their recollections of how they started out in dance music, to how they perceive their label now. In the last 10 years, Hessle Audio has released many early records by future stars, the most notable of whom, James Blake, now makes quite different productions for US pop and hip-hop champs Beyoncé and Kendrick Lamar. Singles by Blawan, Objekt and the aforementioned Untold have shone alongside Pangaea and Pearson Sound’s (formerly Ramadanman) own releases, and all this has been achieved without outside interference or troubled by profit margins. 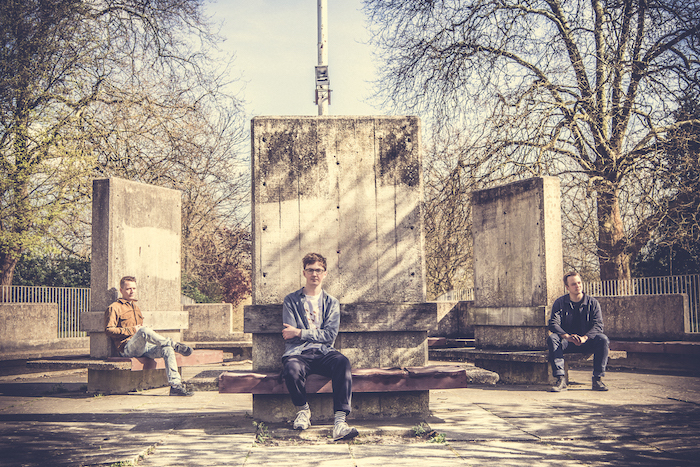 Ben, David and Kevin formulated the idea for Hessle Audio while studying at Leeds University. The first two, originally from London, bonded with Kevin, originally from a village near Swindon in the south-west of England, over an appreciation for drum & bass DJ Bailey’s 1Xtra radio show. Each of them, though, had quite a different musical background. Despite their early involvement in dubstep, the Hessle Audio three existed outside the inner sanctum. Having arrived on the scene after it was becoming established, and with their diverse influences, they found themselves drawn to tracks that didn’t necessarily fit the dubstep template of the time. Inundated with high-quality demos of stranger stuff that strayed from the norm, they played those too amidst more traditional material on their Sub FM show. After the first TRG release, ‘Put You Down’, releases from Pangaea, Untold and Ramadanman (Pearson Sound) quickly followed. Inspired by the DiY ethos of Mala’s Digital Mystikz (DMZ) label, Hessle Audio quickly established its own independent aesthetic. Some would tag these records, which incorporated everything from hazy dub techno to two-step garage, as post-dubstep, but the label quickly moved on, resisting tags, putting out weird, wonderful tracks such as Joe’s mechanistic body slammer ‘Maximum Busy Muscle’, the psychedelic broken electro of Objekt’s ‘Porcupine’ or the vivid, colour wheel bleeps of Bruce’s ‘Not Stochastic’. A greater appreciation for techno is evident in Hessle Audio’s most recent releases, though certain core characteristics — heavy bass, hypnotic, unusual synth sounds and an emphasis on functional rhythms, however skeletal — tend to define the label’s output. Just as Hessle Audio is now known for its unpredictable — but always thrilling — tangents, so Ben’s DJ sets mirror the label, challenging clubgoers to keep up with his rhythmic diversions across styles, and sometimes into abstract territory. “It’s quite interesting trying to test the limits of what’s club-appropriate, finding what that line is,” he says. “The gig that we were going to be doing at the West India Centre is now at a venue called Freedom Hills in Leeds,” Ben says. “That’s playing for promoter Simon Scott, who has been a supporter of ours for more than 10 years. That’s on the Iration Steppas soundsystem, I’ve not played on there before, but it was the sound used for a lot of the early dubstep parties up in Leeds that we were all at, so the focus there will be a bit different. The shows are an opportunity for each of the DJs to explore and combine their personal tastes across eight- or nine-hour sets, using a mixture of CDJs and, if the club has a decent set-up, vinyl. “Eight or nine hours is a long time, so it’s good to have a rest, go out and see what’s happening in the crowd,” David says. The tangential tastes of Ben, Kevin and David, as often as they converge, have taken them in some novel directions recently. Pangaea’s excellent album ‘In Drum Play’, despite occasional nods to galactic grime and breakbeats, affirmed his drift towards techno. Like recent releases on his own HADAL label, ‘In Drum Play’ simmers with inventive four-four techno tracks. The juddering, metallic ‘Rotor Soap’ sounds like a factory in overdrive, while the sinuous, double-jointed ‘More Is More To Burn’ pivots on a balletic, entrancing synth figure and rough kicks. “What’s the move to techno inspired by?” Kevin grins conspiratorially. “Dancing in clubs for a long period of time. It’s like what I was saying before about hard house and trance, it’s always been in me, I loved that stuff at 14 or 15, it was so good. It’s been a thread in my music, even if it’s been spaced-out dubstep from the early days. At some point it came that I was going out more to techno clubs, Berghain and places like that. I identified more with that side of music for whatever reason. What I make is always a bit skewed anyway, but I’m thinking more along those lines. Ben’s focus remains on DJing. Rather than feel forced to make tracks of his own, he says he must stay one step ahead in his chosen profession. Proof of his dedication can be found on his mixes for Fabric and Rinse — and at his very frequent gigs around the world. It’s Hessle Audio’s resistance to conformity, and their celebration of difference, that really sets them apart. Coming at dance music from the fringes, the Hessle Audio crew have gained an advantage, and have reshaped club culture to their own ends. Coming up on Hessle Audio, there’s an incredible new EP by Bristol’s Batu (who runs the Timedance label) — lurching from the futuristic sound design, bass and ambience of ‘Don’t’ to the next-gen Sheffield bleep of ‘Off Court’. There are also further releases in the works, but the trio are reluctant to talk about them just yet. Their game-plan for now is to keep doing what they’ve always done: looking to the future. “The ideal is we’ll carry on finding music that doesn’t make sense anywhere else,” Ben concludes. Amen to that. On the flipside of the track that launched the label, ‘Put You Down’, was this essential cut. When it first dropped, with its dub-tech clangs, dislocated two-step beats and lethal subs, there was nothing else like it. With its haunting, mournful vocal sample (“This is how I feel”), minor chord stabs, and scuttling garage beats, ‘Router’ still stands out a mile. A hybrid of grime, dubstep and skeletal rhythms, the blips, warping bass and spring-loaded energy of this oddity made it as deadly as its namesake, ensuring the track crossed over into the sets of the most adventurous techno DJs too. On a diverse EP of next-gen dancefloor cuts (the ‘Ramadanman’ EP), ‘A Couple More Years’ was the highlight: a thrilling collision of stopstart breakbeats and grime bass. From another forward-thinking producer originally associated with dubstep, came this synth-led, ravey broken techno beast. Invention and club gold rolled into one. He’s a key player in today’s underground dance scene but back in 2012 Objekt was a fairly new name. ‘Porcupine’, with its skittering electro beats and grand, spacious chords, broke the mould. A stripped-down, dubbed-out, broken techno missive from two of the best in business. Like Brion Gysin’s trip-inducing, stroboscopic Dream Machine on wax, this swirling piece of electronics was a key weapon in Hessle Audio’s armoury. Engrossing IDM from David Kennedy, stepping away briefly from his dancefloor material. From the ‘In Drum Play’ album came this killer percussive piece, cutting up familiar breakbeats in alien ways.